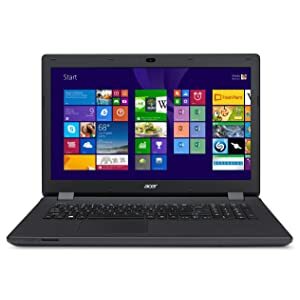 Acer Aspire ES1-711 17.3-inch Laptop Intel Pentium N3540 QC, 8GB RAM, 1TB HDD. The notebook built for everyday tasks. 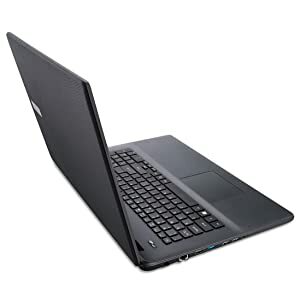 The Aspire E 17 offers a notebook that is suited for everyday tasks, whether it be keeping in contact with friends and family or simply surfing the web. A slim design and easy grip makes it a good choice for nearly every situation and up to 5 hours battery life gives you the confidence of all day computing. 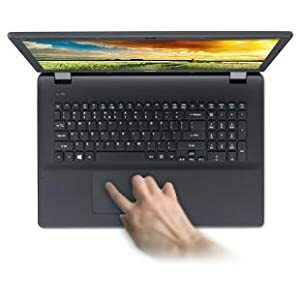 The precision touchpad provides an improved navigation by allowing touch gestures such as, pinch, flick and swirl on documents and websites, also helping to reduce the amount of unintended taps. The bonus of the numeric keypad makes inputting data a breeze. The Aspire E Series features a distinctive easy-grip or FlowCurve design for secure handling in all situations. Its sleek Fibonacci dot pattern cover looks good and is smooth to the touch. On the inside, the Acer chiclet keyboard offers you well-spaced keys for a comfortable and quiet typing experience. 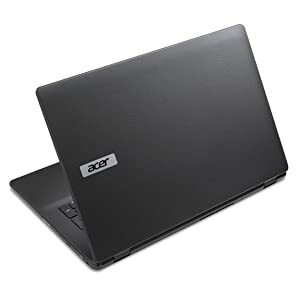 Chat with friends and family using the Acer webcam and enjoy good connectivity utilising both USB 3.0 and HDMI connectivity. USB 3.0 port provides up to 10x faster transfer speeds than the standard USB 2.0 and the HDMI allows for HD content and high quality audio to be transferred to your big screen to share and enjoy your entertainment.